Our welfare officer is Rachel Milroy, who works alongside the committee as required. In line with Swim England recommendations, Rachel is not a committee member in order to maintain impartiality should a welfare issue arise which involves a committee member. It is a Swim England requirement that Safeguarding is a standing item on every Committee Agenda. 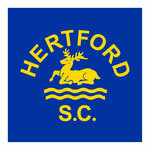 If you have any welfare concerns, please contact Rachel directly on welfare@hertfordsc.co.uk. If you wish to discuss anything over the telephone please email your number to her.